Large numbers of Blue-throated Macaws were spotted at Bolivia’s Barba Azul Nature Reserve during the months of September and October 2015. On one occasion a group of 42 birds were recorded in an elaborate courtship spectacle: tumbling through the air and hanging upside down from branches. Many birds were seen fighting-courting in groups of four to six individuals. 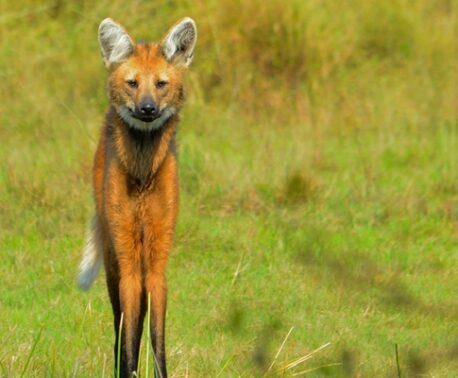 Barba Azul Nature Reserve is owned and managed by Asociación Armonía, partner of World Land Trust (WLT) in Bolivia. The macaws were seen for several days after their courtship ritual, but disappeared in mid October to breeding grounds outside the reserve. 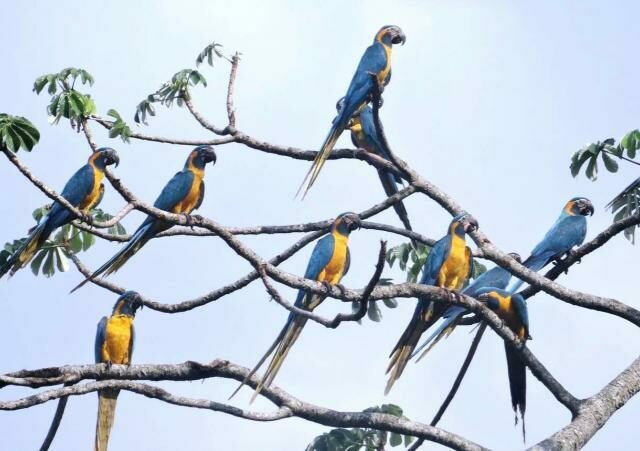 Although large numbers of Blue-throated Macaws (Ara glaucogularis) depend on the reserve for food and roosting sites, no pairs have yet bred in the reserve. There are rumours of Blue-throated Macaws breeding 100 kilometres north east of the reserve and Barba Azul’s Reserve Manager, Tjalle Boorsma, will investigate these claims during the 2016 nesting season. Blue-throated Macaw are classified as Critically Endangered by the IUCN Red List of Threatened Species, with only 250-300 individuals estimated to be left in the wild. WLT is supporting the Blue-throated Macaw conservation programme by funding the employment of a ranger through the Keepers of the Wild programme and by funding palm forest island restoration through the Action Fund. In 2013 WLT used Buy an Acre funds to double the size of the Barba Azul Nature Reserve with a 14,827 acre (6,000 hectare) purchase. 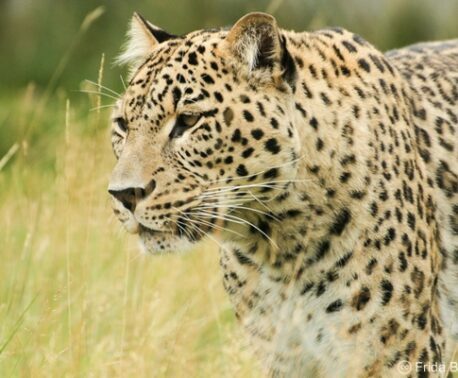 WLT continues to raise funds to save land in Bolivia and extend the reserve for around £100 an acre.